A dozen years has passed since The Distillers last performed together. The punk rock quartet behind hit singles "Drain the Blood" and "City of Angels" disbanded in 2006, following what lead singer Brody Dalle described as "a lot of infighting and generally unhappiness." "We all just grew out of it," Dalle said in a 2009 "Rolling Stone" interview. Those bad feelings and acrimony are gone now. Back together again, The Distillers head to Atlanta for a reunion set at Shaky Knees festival in May. 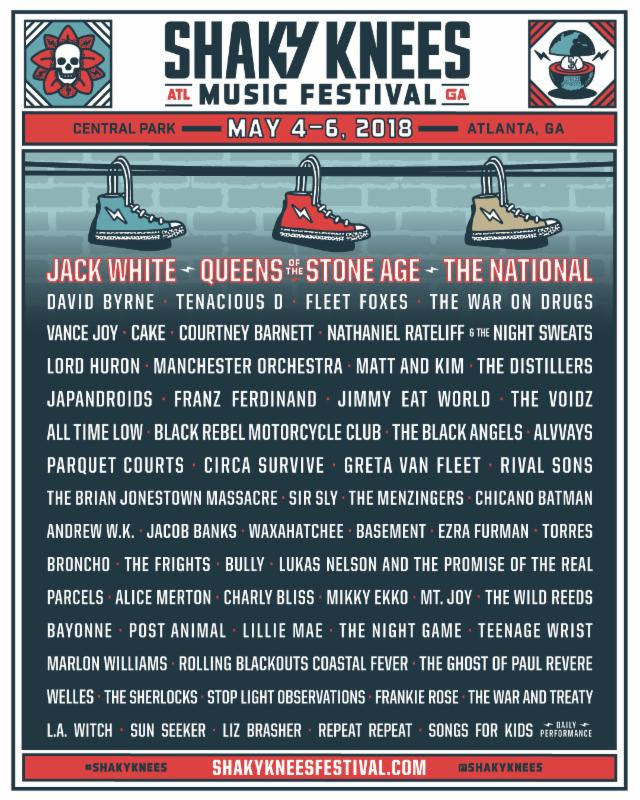 Shaky Knees is a 3-day festival featuring more than 60 bands on four stages. 2018's lineup includes Jack White, Queens of the Stone Age, Jimmy Eat World, Tenacious D, Cake and many more. General Admission 3-day tickets, VIP 3-day tickets and Platinum 3-day tickets for the concert's sixth edition go on sale Jan. 9 at www.shakykneesfestival.com/tickets. Children 8 and under are admitted for free with a ticketed adult.